Owning a house is expensive. Owning a car is expensive. There’s one easy way to save money on both: bundling your home and auto insurance policies. Bundling simply means using the same insurance company (or, two independent but affiliated companies) to insure both your house and your car. Opting for a bundle can save you as much as 25 percent — on each policy! — compared to buying them separately. Here’s how most people bundle their insurance: When they’re buying car insurance from a big company, they see an option to add homeowner’s insurance so they can get a multi-policy discount. “Sure, why not?” they think, and check the box. Easy as that. Except this is the wrong way to bundle home and auto. Why? Because you’re taking the first offer when you should be comparing quotes to get the best deal. Your auto insurer might offer you a 10 percent discount for bundling — but if that company’s rates are high, you’ll end up saving nothing. A better way to do it is to compare home and auto insurance quotes online. Compare.com makes it easy! All you need to do is enter some basic information (like the type of car you drive and where you live). Then, when we ask you, “Are you interested in bundling auto with home insurance?” click Yes. That’s all we need to give you a multi-policy discount. 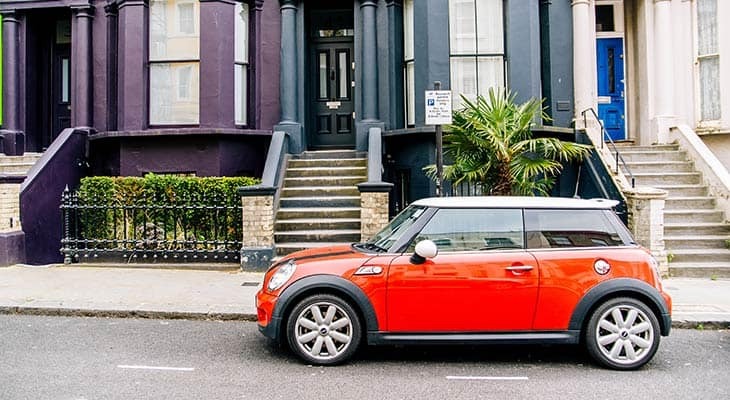 After you choose the level of car insurance coverage you want, we’ll generate auto and home quotes from multiple insurance companies so you can compare them side by side. For example, we ran the numbers for a 27-year-old driver who owns a house in Chicago. She enters the info for her car (a three-year old Accord LX) and her house (an older bungalow near Humboldt Park). And she opts for the premium level of car insurance, which gives her liability limits of 100/300/100. Our Chicago resident’s quotes for home insurance plus car insurance range from $186 per month to $502 per month when paid upfront (avoiding a down payment). For car insurance alone, her quotes range from $130 to $292 per month, paid up front. You can see why it pays to compare! If she looks at the cheapest options side by side, that means she can have both home and auto insurance for just $56 more per month than car insurance alone. When bundling, you’ll want to compare the coverage limits, deductibles and any special offers, like accident forgiveness, that different insurers offer. You should also do some quick research on the company you’re interested in, to make sure their current customers are generally satisfied (a few complaints are normal, but an avalanche of bad reviews isn’t.) When you’re confident you’ve found a good deal, just click to buy. If you just want quotes for homeowner’s insurance without bundling, we can help with that too. Enter your ZIP code to compare home insurance quotes from multiple providers. If you hold two or more policies with a single insurance company, you’re a more valuable customer. That means they’re less likely to drop you if you file a claim or your driving record gets a few dings. Keep in mind that it will also be harder for you to leave. It’s so easy to have a single company for both home and auto (and maybe motorcycle, RV or life insurance too), that switching to another company might seem like too much work. So you’ve compared quotes, and you’ve found the best possible deal on homeowners insurance. But it’s still a lot of money to pay each year! Is there anything else you can do? One option is raising your deductible — the amount of money you contribute before your insurance policy pays for a claim. Your deductible may be $500, and if you can raise it to $1,000, you may save as much as 25 percent. Just make sure it’s an amount you can actually afford to pay in an emergency. Another tactic is not filing a claim for minor losses. Let’s say someone breaks into your shed and steals $800 worth of tools and lawn equipment. You’re mad! You want to file a claim and get that stuff replaced. But if you do, you’re going to have to pay your $500 deductible, so your home insurance will only contribute $300. Not only that, but they may raise your premium by 20 percent or more at renewal. If you end up filing more than three claims in a 10-year period, your home insurance company might drop you entirely. One more strategy for saving on home insurance: Make your house safer. At the very least, you should have working smoke detectors in multiple rooms. You may also want to add deadbolt locks and a security system. If you have a big trampoline out back, get rid of it. Just don’t lie about any improvements you make. If you tell your homeowner’s insurance company that you have a high-tech security system, and then — after you’re burglarized — they find out you canceled the monitoring service, your claim may be denied. Ready to save a bundle? Get your personalized quotes now.